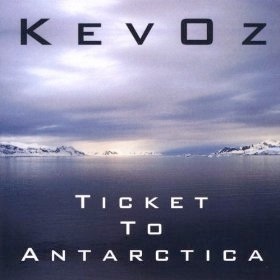 Keyboardist KevOz loves everything about Christmas and this is apparent in the joy he infuses into his 25 Greatest Christmas Hits. This is a “best of” collection from his three earlier Christmas albums plus four previously unreleased songs; four of the pieces are original compositions. Many of the pieces have the high energy of Mannheim Steamroller and the whimsical humor of Ray Lynch. A few of the songs are on the solemn side, but most are fun and very upbeat. You can create a party atmosphere instantly with this album (even if you’re just planning an evening at home alone), and it will have you rockin’ around the Christmas tree in no time (and no, that isn’t one of the songs!). The 25 Greatest Hits begin with “Linus and Lucy” by Vince Guaraldi. It’s easy to picture Schroeder playing his toy piano and Snoopy doing his happy dance - even with the marimba and saxes. Fun! “A Very Merry Christmas” is the first of the original pieces. Sleigh bells, keyboards, and a catchy rhythm make this a welcome addition to the collection. “Angels We Have Heard On High” mixes bells and voices along with strong drum beats and strings, bringing it right into the 21st century with a great big smile! I wouldn’t have believed “O Come, O Come Emmanuel” would work with a heavy almost disco beat, but it does! “Up On the Housetop” practically dances out of the CD player. I’ll bet you can’t sit still with this one! “The Holly and the Ivy” is given a much gentler treatment and is utterly charming. “Good King Wenceslaus” is light and carefree. If “Jolly Old Saint Nicholas” doesn’t bring a smile to your face, The Grinch has gotten to you! “Carol of the Bells” is high energy and has all kinds of interesting electronic effects. “O Christmas Tree” is majestic and elegant with trumpet, sleigh bells, howling wind, and guitar. “What Child Is This” is simple and graceful - just the melody and a subdued 6/8 rhythm. After a stately intro, “The Wassail Song” brings back the swinging bass in a lighthearted dance. I love “God Rest Ye Merry, Gentlemen,” and Oz’s arrangement rocks while keeping the dark minor-key quality of the song - my favorite track! The celebration comes to a close with KevOz’s own “Christmas Traditions,” another favorite with its beautiful, heartfelt melody and wordless message of love and time-honored customs that are both personal and universal. There is always a plethora of Christmas music to choose from, but this one is one of the livelier and more joyful albums I’ve heard. 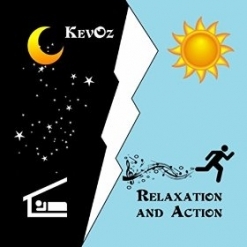 There are samples on KevOz’s website, and the album is also available from Amazon, iTunes, and CD Baby. Check it out!